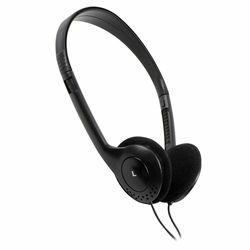 These economical headphones are great for use in schools, universities and libraries. Their padded earphones and adjustable headband make them comfortable for long use. They're equipped with a standard 3.5mm stereo mini plug that fits most computers, laptops, tablets and many phones.